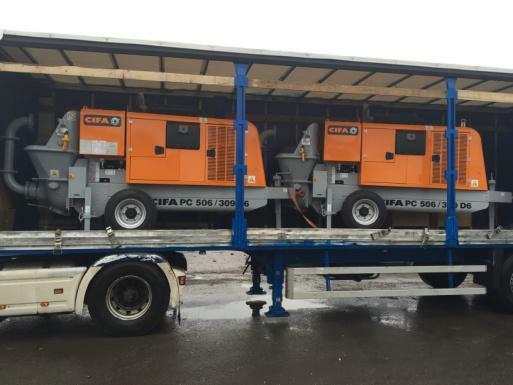 Karpathia Industries, official dealer CIFA in Romania, bought in March two portable pumps, new products, made in 2015. 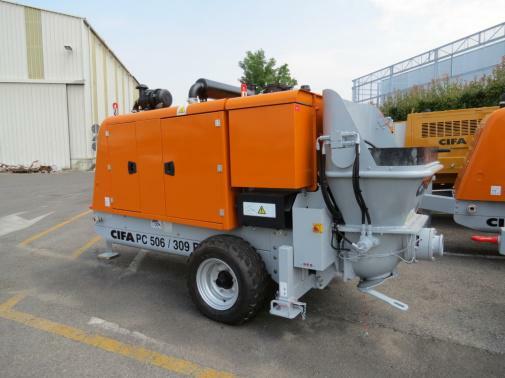 Stationary pump CIFA PC - series 6 Diesel PERKINS, manufactured by CIFA SpA - Italy, it is a small capacity machine designed to transport aggregate concrete pumps. 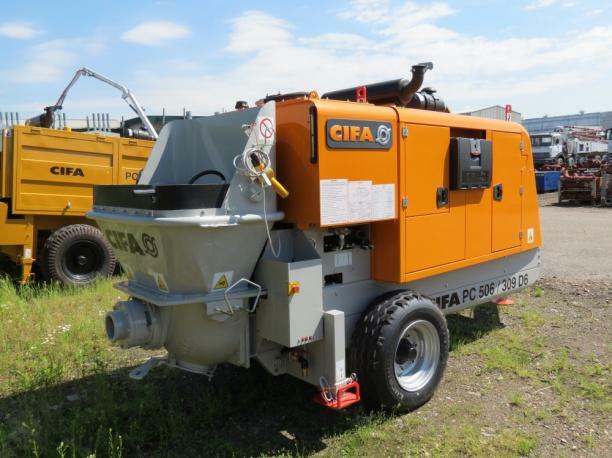 The machine is equipped with excellent standard, complete with a variety of accessories that determine the versatility of these pumps, making them ideal for work construction of small and medium scale without requiring large space to maneuver or measures special horseback. 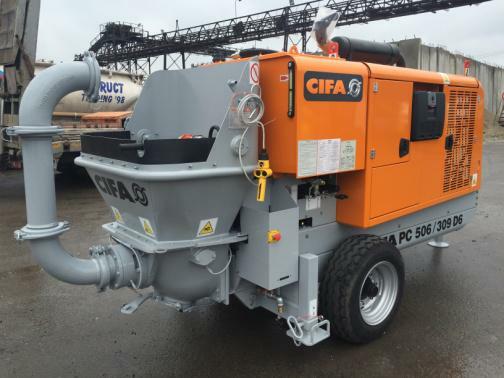 It allows operation in confined spaces and limited accessibility in urban or residential areas. No special measures needed to stabilize the machine during operation. Rigid monoaxle trailer complete of drawbar, four manual adjustable outriggers and two rubber wheels. 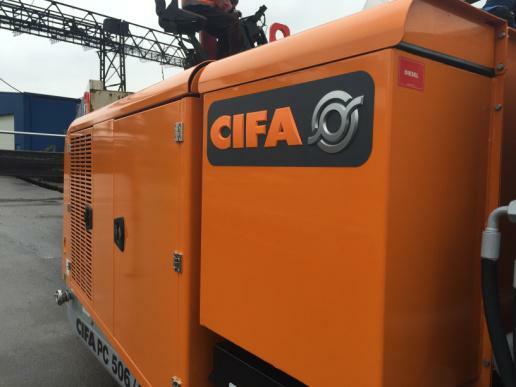 Power source consisting of a separate engine (Diesel or Electric). Main pump of axial piston type variable capacity and constant power.